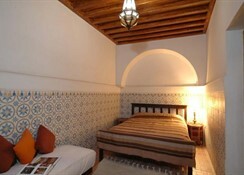 A recipient of the Tripadvisor Certificate of Excellence 2013, the Rial El Sagaya is a luxurious Moroccan guesthouse ideally located right in the ancient and historical medina area, within a short distance from a number of the best sights in the city including the Majorelle Gardens, the legendary Jemaa El Fna Square and the Bahia Palace to name but a few. The Rial El Sagaya boasts a wide range of features for guests to enjoy including an outdoor swimming pool ideal for relaxing in after a busy day sightseeing, plus there is a rooftop terrace with stunning views over the surrounding area and the snow-capped Atlas Mountains. There is also a TV lounge area for guests to relax in along with a massage room offering a range of services and treatments for those seeking to unwind full during their stay. 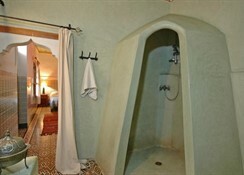 Each of the rooms are lusciously decorated in a traditional Moroccans style and come equipped with Wi-Fi connectivity, air-conditioning, an ensuite bathroom with shower and selected rooms have a seating area. 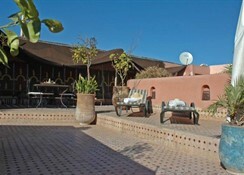 For dining there is a restaurant serving a range of traditional Moroccan dishes on request for guests to enjoy, plus a breakfast service is offered daily and served by the swimming pool in the courtyard or on the rooftop terrace. Additional amenities include room service, car hire, 24-hour front desk, tour desk, luggage storage, concierge, laundry, ironing service and VIP room facilities. 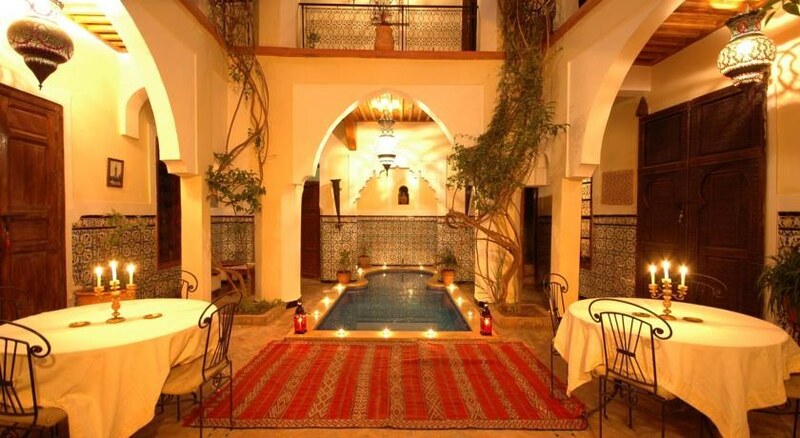 The Rial El Sagaya is a traditional Moroccan guesthouse ideally suited to the discerning traveller looking for a luxurious and truly Moroccan riad set within the beating heart of the city. There is a swimming pool for guests to use, plus a sauna and massage room offering a range of services for those seeking the ultimate in relaxation. 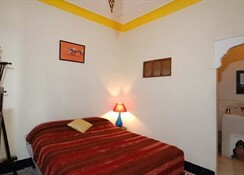 Each of the rooms are lusciously decorated in a traditional Moroccans style and come equipped with Wi-Fi connectivity, air-conditioning, an ensuite bathroom with shower and selected rooms have a seating area. Certain amenities may be payable locally. 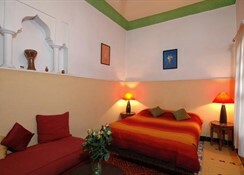 There is a restaurant serving a range of traditional Moroccan cuisine for guests to enjoy.